My Dad died in July of 2001, just 2 months before 9/11. Since he was a WWII veteran, having fought for his country, I was happy that he did not get to witness this atrocity. As a young man, he was a Boy Scout Leader, and liked to hike and cook out, either on the mountain or by the river. (Life was way simpler then! No computers, handhelds, iPads, you get it.) He would make these potatoes for me and my sister and whatever friends we drug along with us. I don’t have amounts of ingredients, you can make as much or as little as you like, and adjust spices to your own taste. I’m sure my Dad’s version was all butter, but I used only olive oil this time, and they were still yummy! 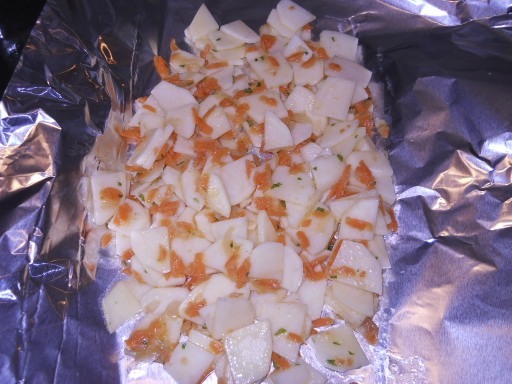 I started by peeling the potatoes, quartering them, and slicing them very thin. I grated some baby carrots, so they would cook fast. I also grated the onion, (thank you, Racheal Ray) which turned out all brown and crunchy, adding a really nice flavor. 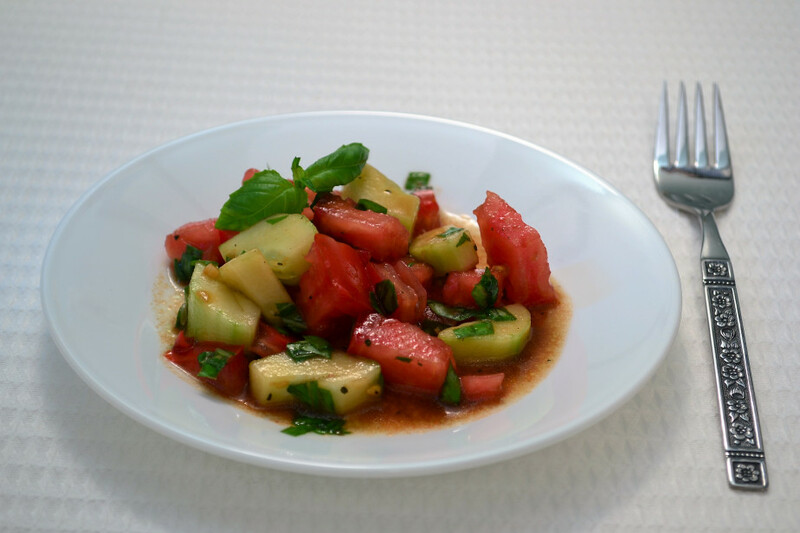 I mixed all of the ingredients in a mixing bowl, coating with olive oil, then adding the parsley, salt, and pepper. 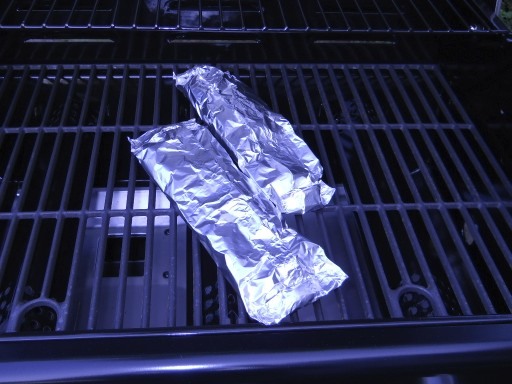 I then transferred the potato mixture to a piece of heavy duty aluminum foil, then sealed the foil into little pouches. I cooked them at about 400 degrees for about 20 minutes, then turned off the flame when I started the other two to make my meat and veggies, which in this case were turkey burgers and grilled zucchini. Total cooking time was about 40 minutes. Enjoy!